What has my freelance life taught me about finances? Financial matters is the hardest part of freelancing for many people. And for me, too. It can be a real nightmare, because your income can change month after month. Hopefully this will be a good change, but there will also be slow periods with almost no work and thus no payment coming in. I am still learning to manage my finances. The fact that I am a registered individual entrepreneur motivates me to keep the budget and not spend all the money at once (though at times I do feel like spending it all on shoes, makeup and other absolutely necessary things ;)) So here are my financial tips or rather lessons that I've been taught. Please feel free to add yours in comments! Count your expenses. I mean count how much money you need for food, clothing, any loans/debts that you may have to pay + taxes, insurances etc. Then you need to think about professional costs - new equipment/software, membership payment in any professional organizations etc. Then you will know the minimum that you need to earn. I count the expenses on a monthly basis, but you can choose counting them week by week etc. That will help you not to set your rates too low. telling your friends you need more work. I am so thankful for my friends! As soon as they learned that I went freelance they were the ones who provided me with work, gave advice and helped as much as they only could! I am very thankful to them. They introduced me to some clients with whom I've been working occasionally since then. I think one of the best ways to avoid the feast and famine cycle is to deliver excellent work every time. It's a vital part of your marketing when you show by actions that you are as good as your website says you are (or probably even better!). 3. You absolutely need to know how much you actually earn. I still keep my Excel sheet of all projects, deadlines, payments and invoices. I wrote about it here. It helps me greatly! 5. 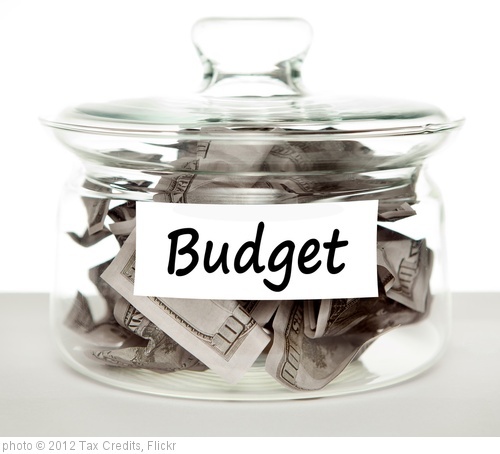 After you made your budget the next important thing is stick to it! Everybody hates unexpected costs, though some of them are inevitable, but do your best to stick as closely to your budget as possible. 7. Do your best not to take any loans. In my case, this has not always been possible. But I have always done my best to keep my credit history spotless. 8. If possible, hiring an accountant would be a good idea. I am actually thinking about it, but I am still not sure I need an accountant on a permanent basis. I do use the help of a professional accountant at the time when I need to fill in my tax declaration at the end of the financial year. 9. One of my greatest concerns has always been insurance. I don't have professional indemnity insurance yet (Russian insurance market is different and insurance policies are different, too. But I am looking for a suitable variant). I do send some money to the Pension fund every quarter to make sure I won't die of hunger when I get old. Besides, I have insured my daughter. She is going to get a substantial sum of money when she finishes school and needs it for her higher education, plus she's insured in case (God forbid!) something happens to her parents. The monthly payments I have to make are fairly small, but at least I am more or less calm and sure that my child will have an easier life than I had during my university years. 10. As a little bonus, here is an article in FreelanceSwitch blog about personal finance apps that can help you create a budget and stick to it. Hope you find it useful! Dear colleagues, how do you manage your finances? Were my tips helpful? I am looking forward to your comments! I'd like to remind you about the contest that we are running at Sharp End Training Russia. A simple tweet or Facebook "like" can make you a winner of our Complete Blogging Toolkit for Translators! It's a wonderful opportunity! The final countdown will start very soon, so don't miss your chance! You can read more here. Great stuff! Commitment to avoid using any borrowed money sure is an excellent policy. Did you know that HP used to have this kind of policy, growing its business only using own funds? By the way, you said that you're usding an accountant to fill in your tax declaration at the end of the financial year. Im wondering what tax system you're on? I am using an accountant not just for the declaration. The thing is that I am not exactly good at maths, calculating taxes etc., so at the end of the year the accountant usually checks all my previous payments during the financial year and tells me how much I still owe to the State. I am on the Simplified tax system (6% from overall income). What about you? Thanks for your article. I think it containes some very helpful tips. I also agree that it's a good idea not to take any loans (like HP :)). I still can't force myself to keep records of my projects and expenses but I know it is very helpful. @Asia, thanks for your comment! Yes, keeping your records is a very valuable thing. In fact, it's the only thing that helps me not to forget when to send invoices, when they are due or overdue (in the latter case I send a reminder) etc. Plus it helps me see how much I earned during a particular period of time. I think it's the marketing part of the gig that makes freelance work really challenging (and rewarding in a way). It's already tough for the big firms to get a sales pitch, so it has to be doubly difficult if a freelancer has to do it (especially both direct AND social media marketing).